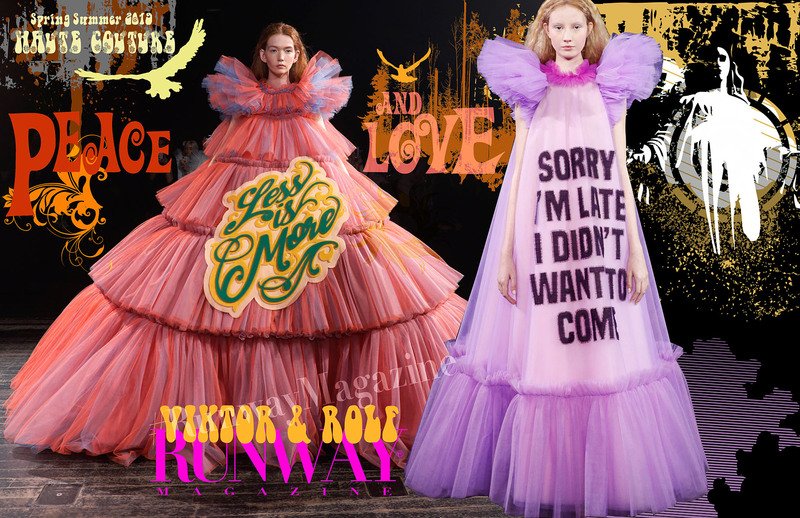 Viktor&Rolf Haute Couture Spring Summer 2019. 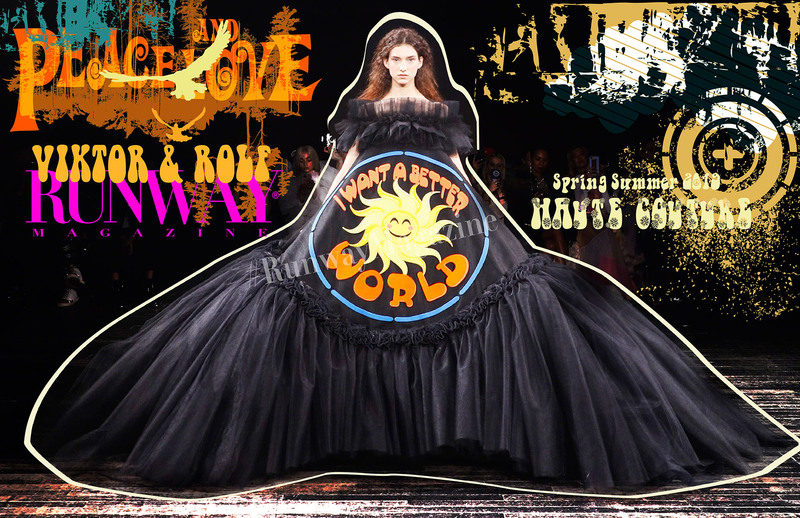 An investigation into the expressive power of clothing. 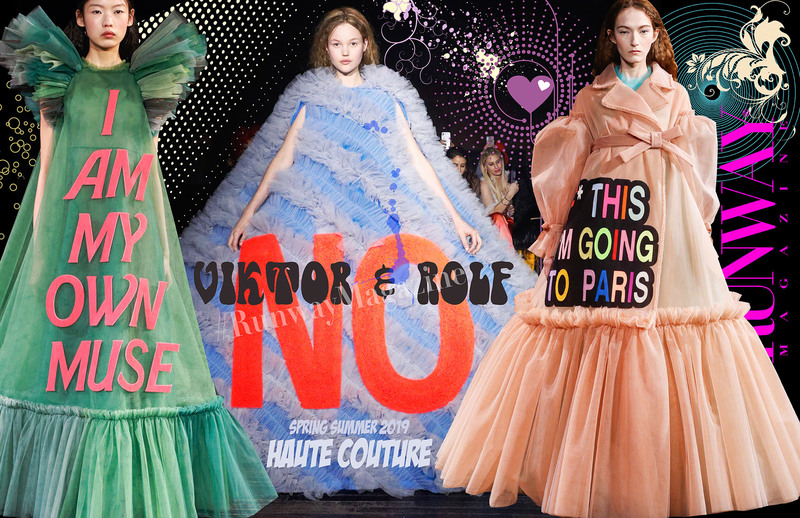 This season, Viktor&Rolf present a group of exaggerated romantic tulle dresses. Volumes are grand but airy, with transparent ruffles, flounces and bows. The colourful collection is entirely executed in 8 kilometers of tulle. The silhouettes, sculptural and extreme, ranging from various A-lines to hourglass, are astutely expressive: each dress provides the backdrop for a bold text which is executed in layers of laser cut tulle. These texts are mainly one-liners: slogans with the kind of simplification typical of social media captions or souvenir t-shirts. 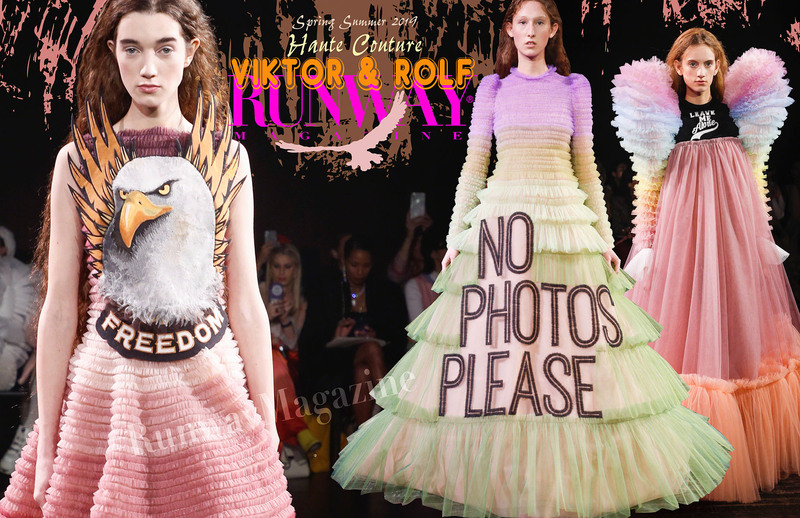 The juxtaposition of these seemingly unrelated elements results in a typical Viktor&Rolf expression of surreal beauty. Private collector and longtime collaborator Han Nefkens acquired one of the Haute Couture pieces before the collection was shown in Paris on January 23rd. 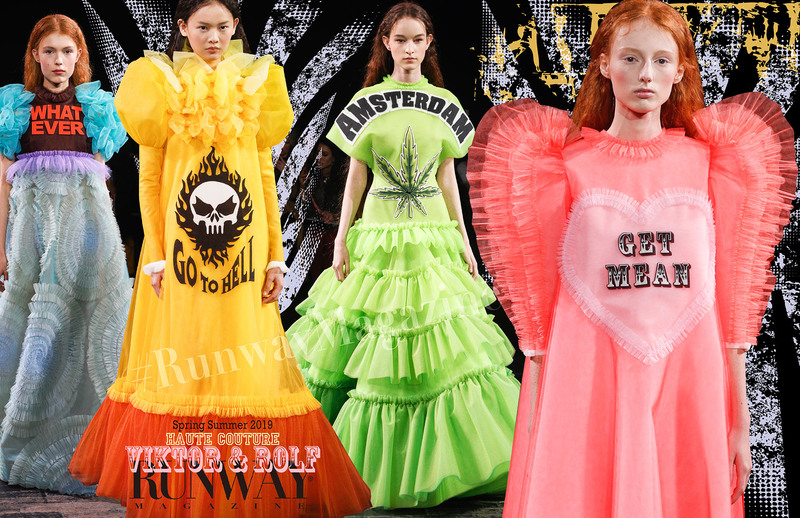 The garment will be donated to the Museum Boijmans van Beuningen and will be added to the previously donated 23 pieces of Viktor&Rolf works.